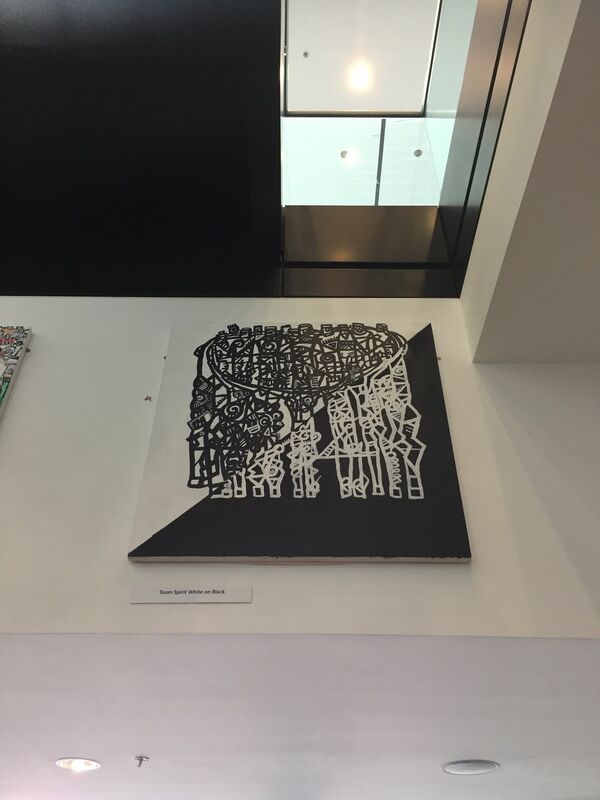 This week’s blog post is from one of our Chevening Scholar’s, Gabriela. 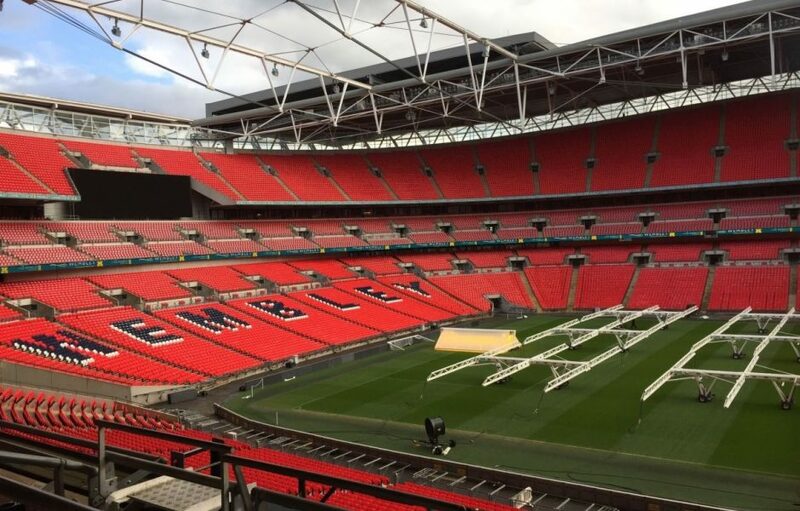 She recently visited Wembley Stadium as part of her Sport Business and Leadership programme and has written about her experience of the trip. As a Brazilian, a big fan of football and also as an enthusiastic environmental advocate, I’m pleased to share with you a great experience I had as a Master’s student at Loughborough University London. Recently, my MSc Sport Business and Leadership colleagues and I had an opportunity to visit Wembley Stadium, as part of the activities programmed for the Sustainability and Leadership in Sport Organisations module. The module covers sustainability in action, and how this impacts the organisational culture of sporting environments. 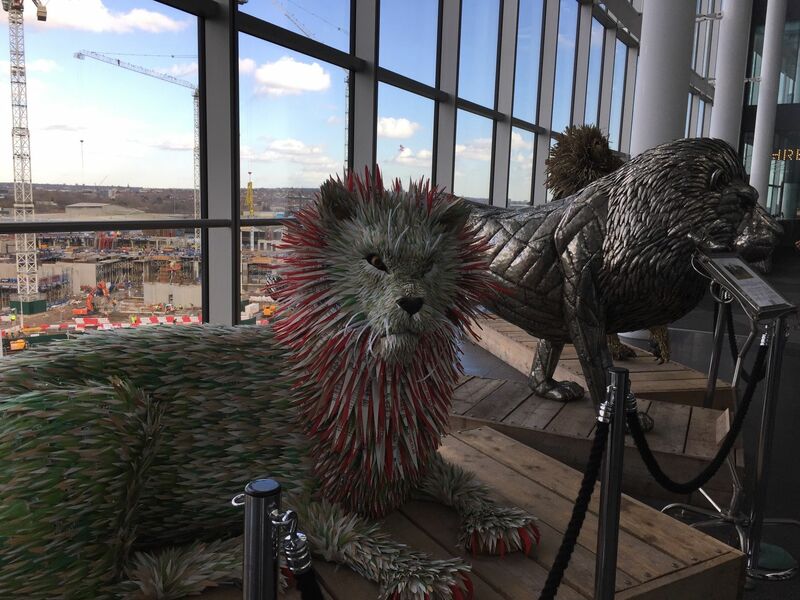 The main focus of the visit was to find out how Wembley Stadium addresses its commitment to demonstrate leadership in environmental sustainability. We were presented with some of the Stadium processes to manage the environmental impacts from its operation, especially regarding the waste management. Our visit was a mix of theoretical and practical examples of the Stadium premise for being a ‘zero waste to landfill venue’. Through a standardised process, the majority of the waste is diverted out of the general waste stream as mixed recycling and food waste. Then, the mixed recycling is taken away to be sorted and then recycled; food and liquid waste are sent to an anaerobic digestion plant to be broken down producing energy and fertilizer as a by-product. The remaining general waste is sent to a ‘waste to energy’ facility where energy is generated and returned to the National Grid. Not only was I impressed that Wembley Stadium has a “Green Team” working to continually improving its environmental performance and thus prevent climate change, but also I was personally glad to know, that it is a Brazilian woman who is responsible for the managing the day to day operational activities of Wembley waste management. 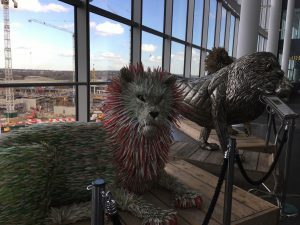 Thank you Gabriela for your great blog post, and thank you to Wembley Stadium for proving our students with the opportunity to discover more about this world-class sports facility. If you’re interested in finding more about our Sport Business and Leadership MSc, take a look at our programme page.